Dr. Rick Michael was born and raised in Shreveport, leaving after graduation from Loyola College Prep to attend Texas A&M University. After graduation from Texas A&M, he received his medical degree from The University of Texas Health Science Center at Houston. He then moved to Nashville, TN to complete a combined residency in Internal Medicine and Pediatrics at Vanderbilt University Medical Center. Once he completed his combined residency, he served an extra year as the Chief Resident in Ambulatory Internal Medicine at Vanderbilt University Medical Center. Dr. Michael moved back to Shreveport in 2002. Before assuming the reigns of SureAccess MD, LLC from Dr. Emma McCarty in May of 2015, he practiced in a variety of settings including private practice and hospital medicine in both Internal Medicine and Pediatrics as well as urgent care with Velocity Care Urgent Treatment Centers. His practice philosophy is simple and encompasses his desire to treat all patients as he would want his own family treated and to consistently study both the history and the cutting edge of the discipline of medicine. 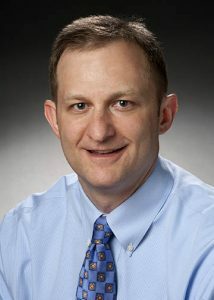 He is currently Board Certified in both Internal Medicine and Pediatrics. He is active in organized medicine and served as the President of the Shreveport Medical Society for the term of 2013-2014. He is also active in the community and has served or currently serves on several Boards of Directors outside of the field of medicine. Foremost among the many blessings in his life are his wife, Kristi, a local Obstetrician & Gynecologist, and his two daughters. He loves participating in his family’s activities and hobbies and is a passionate traveler with his family. His personal interests otherwise include running, triathlons, reading, tennis, and golf. Dr. Joe Tynes was raised in Haughton, Louisiana. After high school, he attended Louisiana Tech University and received his bachelors of science degree. From there, he attended LSU School of Medicine in Shreveport where he received his medical doctorate in 2000. Dr. Tynes then stayed at LSUHSC-Shreveport for his internal medicine internship and residency. In 2003, Dr. Tynes began his private practice in Shreveport. Since then, he has worked diligently in both outpatient and inpatient internal medicine. Dr. Tynes sincerely values the doctor-patient relationship. He believes that patients see a physician to feel better and obtain improved health. 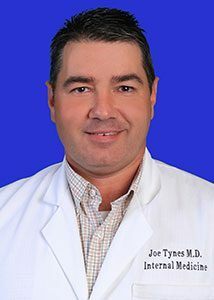 During his career, Dr. Tynes has been named as “Louisiana’s Top Doctor” by Louisiana Life each year since 2007. Similarly, he has been recognized as a member of “Top Doctors” by SB Magazine every year since 2004. Currently, he is certified in internal medicine by the American Board of Internal Medicine. Dr. Tynes was also recognized by Blue Cross Blue Shield as a 2018 Top Performing Physician for his work in the areas of hypertension, diabetes, and kidney disease. Dr. Tynes and his wife, Kerri, have three amazing kids: Will, Luke, and Kate. He enjoys traveling, baseball games, band performances, dance recitals, and playing bass guitar.